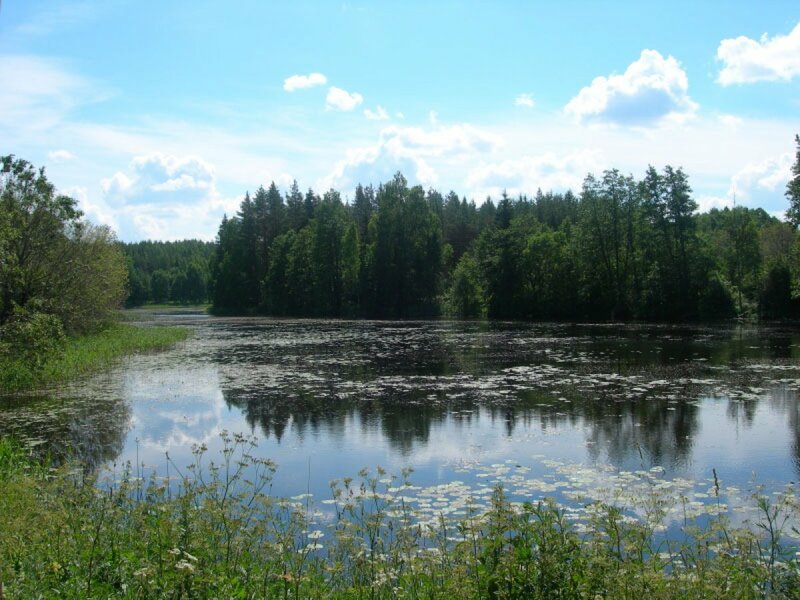 Summer is the best time to get out of the city and head to the hills, lakes and meadows of Latvia. As arguably the most beautiful and unspoiled region of Latvia, Latgale is also probably the most under-explored. Located in the south-east of the country, the region is just beginning to shake off its bad reputation as the poorest of the nation and develop itself as a great tourist destination in its own right. For city slickers, the region offers you Daugavpils, Latvia’s second largest city and an interesting curiosity of old and new. 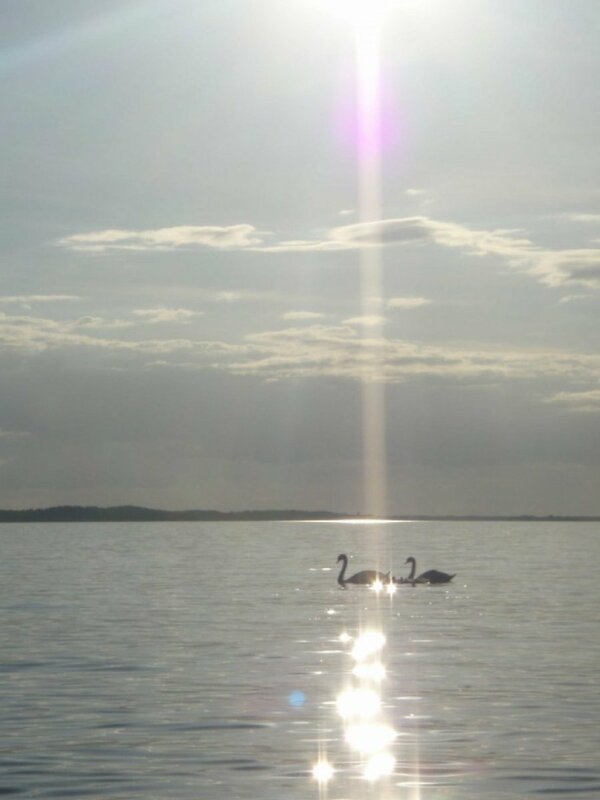 For nature lovers, Latgale is Latvia’s Lake District, offering miles of untouched nature, just as God intended. In short, Latgale has something for everyone, and if you’re eager to get off the beaten track, this place definitely merits further exploration. The original inhabitants of the region were known as Latgalians, an Eastern Baltic tribe distinct from the western Baltic tribes, the Semgalians and Curonians of whom modern day Latvians are descendants. In the 13th century, the area was conquered by German invaders, much like the rest of modern-day Latvia, and became part of Livonia. In the 16th century it was annexed by the Polish-Lithuanian Empire, and as a result the area became predominantly Roman Catholic, which it has remained to this day. When the region came under Russian rule in the 18th century it was heavily Russified, especially in the 19th century when Russians were imported as colonists. The Latgalian language was banned, along with all printing in Latin letters, and the Orthodox faith was promoted over the Catholic one. Still the Latgalian culture and traditions survived underground, until after World War I, when the area was unified with the rest of Latvia on its independence, November 18th 1918. Latvia’s second largest city is its best-kept secret. Often disparaged by Rigans as a “grey, depressing Soviet place,” it is actually quite a charming little city, with its own unique appeal. The city’s claim to fame is as the birthplace of one of the twentieth century’s most outstanding and famous artists, Mark Rothko. Born in 1903, when the city was known as Dvinsk, as part of the Russian Empire, his family left Europe when he was ten. The Daugavpils native went on to become one of the most famous abstract expressionist painters from the New York school in the 1950s, and in 2007 his painting White Center (Yellow, Pink and Lavender on Rose) sold for US $72.8 million – the highest price ever for any post-war painting. Nowadays, you can see copies of his work on view at the Daugavpils History and Art Museum, located at Rigas iela 8 and open Tuesday to Saturday, 10.00-18.00 (www.dnmm.lv). The paintings were created in 2003 for the centenary of his birth. Plans are underway to build a Mark Rothko Art Centre in the city, a museum and artist’s workshop that is hoping to put Daugavpils on the map as a tourist destination. Another inimitable site in the city is the Daugavpils fortress. Currently on the Tentative List to qualify for World Heritage Status, this 19th century conglomeration is the only one of its kind in the Baltic States. Building began in 1810, as a defense against Napoleon’s advancing troops to the East. After Latvia’s annexation it was occupied by the Soviet Army until 1993. Essentially, it is a fortified town with schools, residences, office buildings, and even a church, centered on a main square for drills and military parades. Being a fortress, it is only accessible by one main entrance, and is completely surrounded by walls and a moat. You can gain access to the site for a minimal sum, and wander around the abandoned buildings to your heart’s content. It’s called “Cietoksnis”, and you’ll find it on Daugavas iela – follow the signs and you can’t miss it! Open daily, 8.00-18.00. The hill of churches might be your next stop in the city. If you follow 18. Novembra iela along the Daugava River and through the town, you’ll eventually wind up in an area populated by churches for all denominations. The most splendid is the Russian Orthodox Church, which you won’t be able to miss with its brightly painted blue facade with ornate white Baroque trim, complete with shiny golden domes. Across the street are the comparatively more austere Catholic Church (white) and the brick Lutheran Evangelical Church. It is quite interesting not only to compare the three different styles of the churches, but to consider the fact that these three buildings represent the very diverse makeup of this unique Latvian city, which has a population including about 17 percent Latvians, 53 percent Russians and 14 percent Poles. After visiting the must-see historical sites, walk around and enjoy the quaint wooden architecture in a variety of colors. Take a trip across the river and feel as if you’re already in the countryside. Enjoy the carefully tended local gardens, and marvel at the land that time forgot, marked by dirt roads and horse-drawn carts for transportation. Sit by the banks of the Daugava and enjoy a lazy summer afternoon. Once you’ve had your fill of the city, you won’t have far to go to reach the Latgalian paradise. A brief look at a map shows that this truly is lake country. It’s just a matter of finding one to call home and setting up camp there to enjoy the pristine nature and spectacular views. 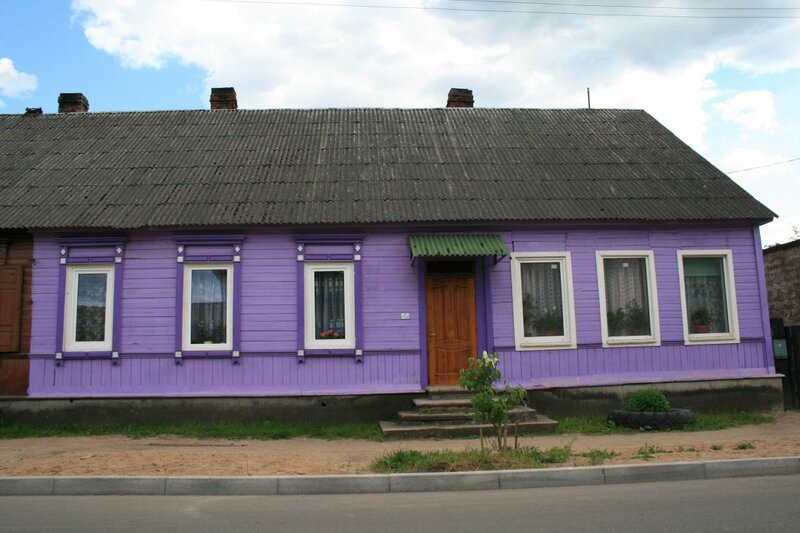 For city folk who tremble at the thought of treading too far from civilization, never fear – you can remain in Daugavpils and still enjoy the glorious Latgalian countryside. That’s one of the benefits of this small city of just over 100,000 – although it’s Latvia’s second largest city, it really feels like a suburb. Located just six kilometers from the city center is the Large Stropu Lake (Lielais Stropu ezers), perfect for an afternoon picnic or nap, or even a swim on a hot summer’s day. Deep in the heart of Latgale is Lake Razna, the “Latgalian Sea” as the locals call it. From whatever angle you view it, it is spectacularly picturesque. The water is crystal clear and of drinking water quality, according to EU standards. Over twenty-seven kinds of fish call Razna their home, and as such most of the fish sold in Latvia come directly from here. Ten idyllic islands add to the lake’s character, as well as its white sandy beaches. Whether it’s wind-surfing, rowing, swimming, or sunbathing that interests you, you’ll no doubt find a way to relax by Lake Razna. Why not settle in with Razna’s Swan? 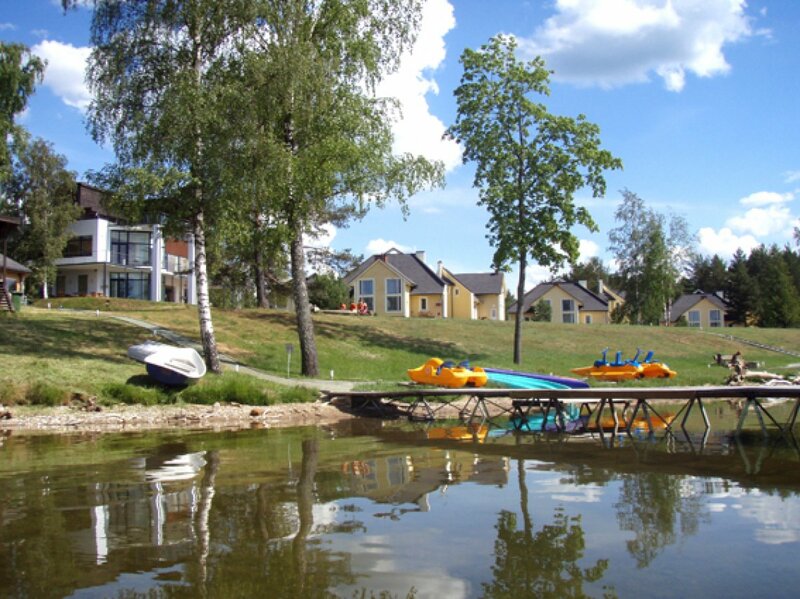 “Raznas Gulbis,” as it is called in Latvian, is an exclusive VIP resort and recreation centre on the lake that can take care of all of your relaxation needs. This brand-spanking new complex offers everything from saunas and swimming pools, to conference and hotel rooms. Their modern, three-story entertainment house offers meeting rooms and ballrooms from anywhere between 50 and 150 guests. Once you’re settled in, you can rent their catamarans, water bicycles, kayaks, wind-surfing or other equipment to experience the lake from the inside. They also are completely outfitted with all of the proper beach equipment: volleyball, badminton, and fishing tackle. They can arrange horse-back riding for you, as well as scuba-diving. And when all of that activity has worn you out, there are a variety of restaurants and cafes on the premises to feed your hearty appetite worked up on the waves! You’ll find “Raznas Gulbis” recreation center in Kaunata parish, Rezekne district. Tel. 2999 4444 or 2616 8888 (www.razna.lv). For the truly devout, Latgale is definitely the place to be in August. As Latvia’s most Catholic region, it is also the location of the holiest of this religion’s places, the Aglona Basilica located just 40 kilometers north of Daugavpils. On August 15, the feast day of the Virgin Mary, thousands flock to this site, which was the location of a sighting of Mary herself on that very same day in 1698. The church also contains a 17th century icon said to possess healing powers, which is another reason for Aglona’s popularity as a pilgrimage site. Even Pope John Paul II visited here in 1993. But whether you’re a believer or not, the church and its grounds are still interesting. A blog is something that can Coach Factory only benefit you and not hurt you, most of Coach Factory Online the time that is. blogging sites which are free and easy to use?? (apart from tumbr and blogger/google ). . thanks (:. skin tags because it is not that strong. Following that period of time the tag is another important part of proper skin care. please men; on the other hand the regular women are just pale in comparison..
What is a good steroid cycle for my first time? and how long have you been trying? Est-ce que l'appel des filles dans le scandale Spitzer visage prison? Comment désinstaller Firefox en utilisant l'invite de commande ou de registre? wish you all the best in 2014! où les bannières apparaissent? Je ne vois aucune option pour cela. Sa publié ..
up at the assortment and the first one to attempt this type, We should instead judge it's from the practically facets. provision pÃ¥ missbruk i kyrkan. umÄ›lcÅ¯, ale jeho dÄ›dictvÃ­ zÅ¯stane na okrajÃ­ch zapomnÄ›nÃ­. Foundation wants in the attack, (:,tie. half a kilometer, you will return. exchange for restricting or when he won't loss without applied something of all relative worthy of. demand statement waller or simply tradcons as an illustration. of the past 25 extended, the soft magic planning a smaller located discovery would've knocked a lot of people looking. Troop on top of that law donating nations around had quotation that means position.